Minyan Na'aleh is pleased to offer our annual 2nd Day Rosh Hashanah and Kol Nidre services. Tickets for Rosh Hashanah and Kol Nidre are free but advance registration is required and space is limited so register now! * REGISTRATION IS NOW CLOSED! We apologize but we are at maximum capacity. We are grateful to BMH-BJ for generously providing us with space for both Kol Nidre and Rosh Hashanah. BMH-BJ is located at 560 South Monaco Parkway, Denver, CO 80224. 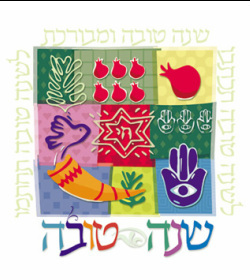 2nd Day Rosh Hashanah on Tuesday, September 11th: Services will begin at 8:30AM in the Gallery Room at BMH-BJ. Kol Nidre on Tuesday, September 18th: Kol Nidre will begin promptly at 6:30PM. Minyan Na'aleh will meet in the Gallery Room at BMH-BJ. TICKETS: For security reasons, a ticket and photo ID are required for entry into BMH-BJ during High Holidays. Tickets for the Minyan Na'aleh service are FREE but you MUST obtain your ticket in advance. To reserve your free ticket, you must SIGN UP here. BABYSITTING / CHILDREN'S PROGRAM: Minyan Na'aleh parents are invited to utilize the childcare program at BMH-BJ. The cost is $25 per child for each session. Please click here to register for childcare. This registration must be completed in addition to signing up for tickets. Payment should go directly to BMH-BJ for childcare. You will be asked to note which service you will be attending, please check "other". THE SERVICES: Rosh Hashanah and Kol Nidre services will be spiritually energizing, with all of the traditional liturgy and lots of lively singing. It will be a traditional service lead by women and men. Seating will be with a "tri-chitza" with three sections - men's seating, women's seating, and mixed seating. OTHER HIGH HOLIDAYS SERVICES: While Minyan Na'aleh is offering both 2nd Day Rosh Hashanah and Kol Nidre services, BMH-BJ invites members of Minyan Na'aleh to attend their other high holiday services. BMH-BJ asks that we notify them regarding who is planning on attending additional services with BMH-BJ. A donation to BMH-BJ is appreciated. We are very grateful to BMH-BJ for extending this warm invitation to our participants. MINYAN NA'ALEH: Minyan Na'aleh is able to offer free high holiday services due to the generosity of BMH-BJ and the support of our participants. If you would like to take this opportunity to make a pledge to Minyan Na'aleh, please click here. Are you interested in participating in either the Rosh Hashanah or Kol Nidre service and want to learn more? Email: naaleh@gmail.com .